Bilal John Kurishingal, the character made famous by Mammootty in Amal Neerad's debut movie Big B, will soon be back on screen. The sequel to the hit movie will start rolling next year. 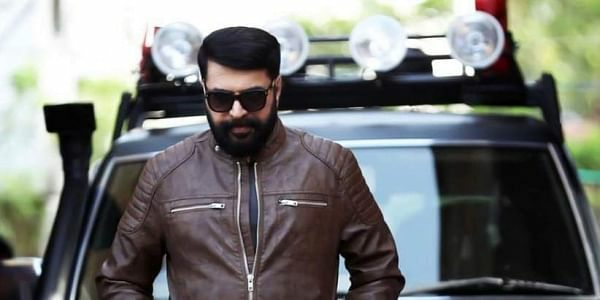 Mammootty will reprise his character of the gangster. This was announced by director Amal Neerad on his Facebook page. 'Coming soon, bloody soon!!'. He also shared the first look poster. Dulquer Salman also took to Facebook to share the news: One of my all time greatest films. The definition of style in Malayalam cinema 'Big B', is coming back !! I cannot wait for #Bilal to return! The movie will be Amal Neerad's second outing with the superstar, after its prequel action thriller Big B went on to become a superhit in 2007. Big B had four foster brothers coming together to unravel who plotted the death of their mother. Big B had Manoj K Jayan, Bala, Mamta Mohandas, Nafisa Ali, Vinayakan, and Innocent in important roles. The movie gained a huge fan following owing to its unique making style and action choreography.